I never seem to pick the right time of year to cut my hair... I always cut it short when the cold weather sets in and let it grow when the heat makes me want to keep it off of my neck. 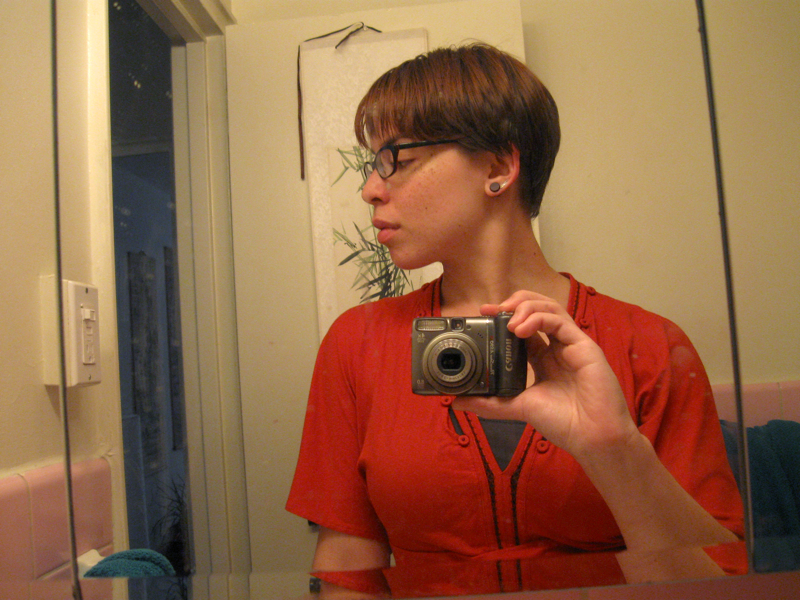 True to form, this past Sunday I went for a pretty drastic change. I had been debating letting my hair get really long again (the last time it was really long was five years ago!) but after bleaching the ends in January and then dying it turquoise, then auburn after that... well, lets just say that my hair wasn't necessarily in the best of states to grow out and the color at my tips was a little... off. 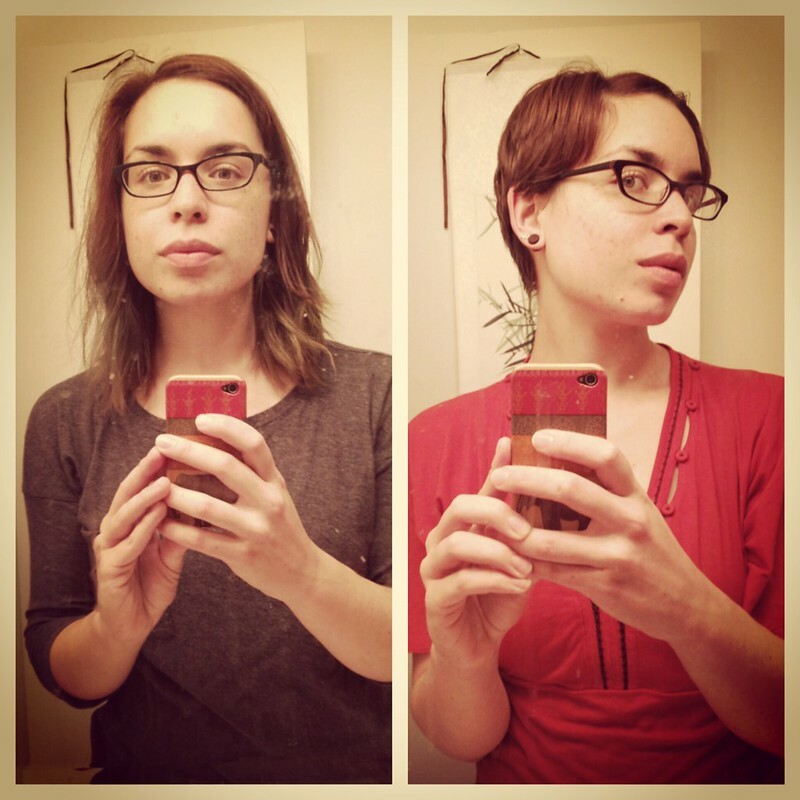 So I decided to cut it all instead and start with a clean slate. See? I wasn't kidding about cutting it all off. This is the shortest I've ever gone and I love it. 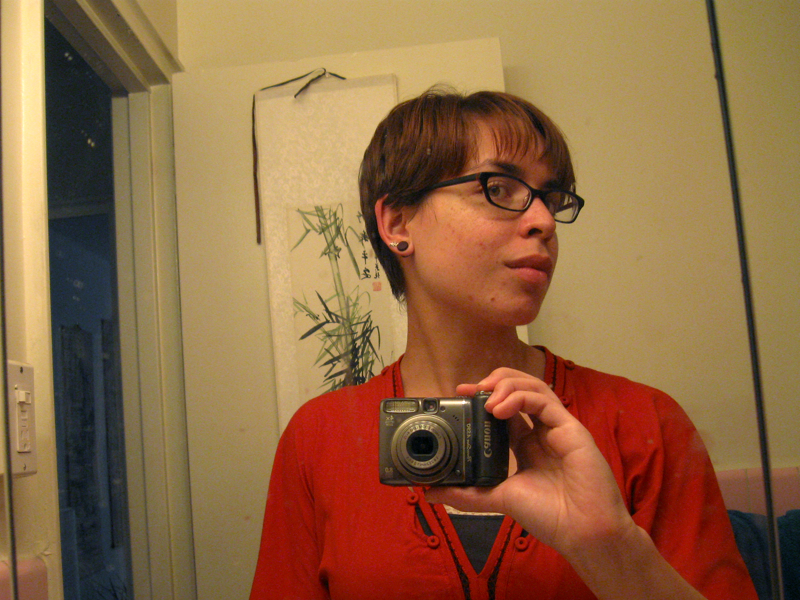 I've been considering a pixie style for years and finally decided to go for it. It's just hair, right? It grows back. Especially my hair... it's like a freakin' weed, it grows so fast. I dyed it auburn maybe three weeks ago and I already have half an inch of roots showing. Ridiculous. I never knew how Shawn would feel about me going this short so I never went for it. 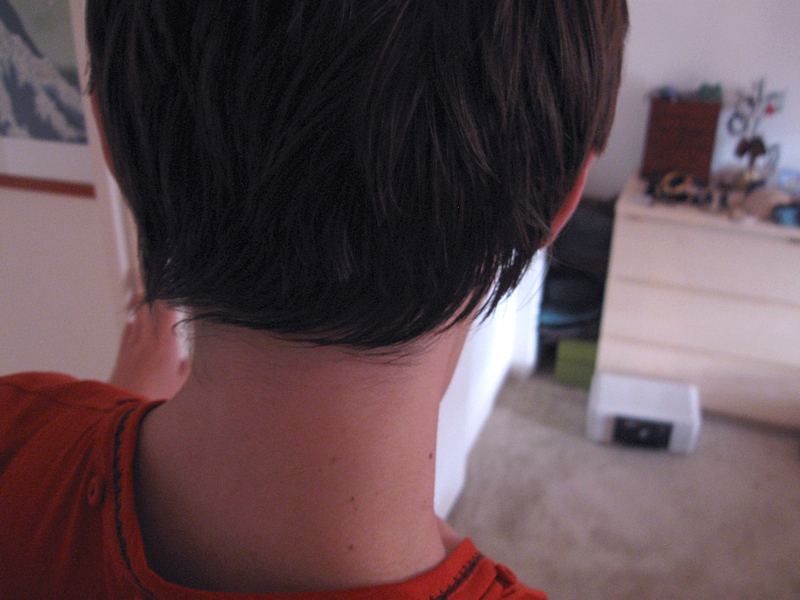 But a few weeks ago he was looking at me and said, "You know, you might look really good with short hair." So I took that as a thumbs up from him and now here we are. To be honest, I don't think he cares either way. All he said when I came home was, "It's just hair. You're really pretty." I'll take that as a positive response.